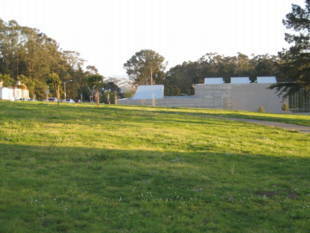 Larsen Park features a play structure, tennis and basketball courts, an open area, and the indoor Sava Pool, which reopened in 2008. Sava Pool telephone number: (415) 753-7000. 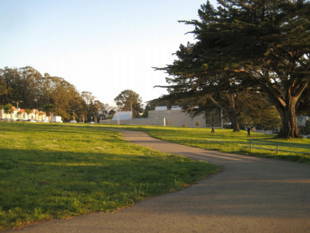 Larsen Park is owned by the San Francisco Recreation and Park Department. Between Wawona and Ulloa. Street parking is generally available once you're off 19th. 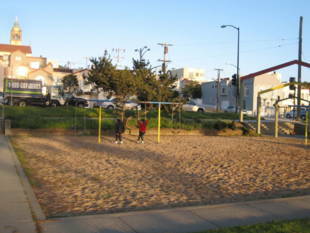 L-Taraval -- 19th Ave. and Taraval, walk one block south for the playfields, three blocks for the pool. 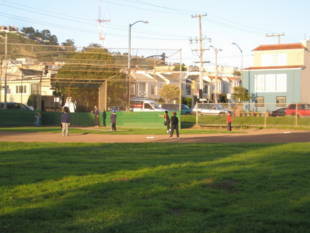 28-19th Avenue -- 19th Ave. and Ulloa, Vicente or Wawona. 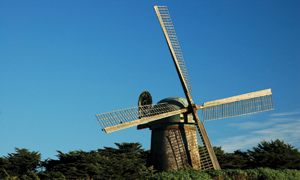 Call 415.753.7000 for more information about swim lessons and recreational swim times. Recreational swim: Friday 6:30pm-8pm; Saturday 1pm-2pm; Sunday 12:30pm-2pm, and otherwise it's lap swim. -Two-week swim classes are offered for children over 48' tall.